Model 2TWHDX is one of the two brightest halogen Lentry Portable Scene Lighting Systems available. Its two lights share one extra tall XT pole and one cord. Enjoy 4.5 hours of light (nearly 8 hours with just one of the lights on) per tank of fuel and then, of course, you may simply add more fuel to extend run-times. No batteries to charge or replace later. 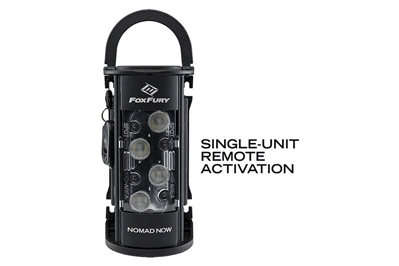 With its powerful 2000-watt power supply and 21,000 lumens of bright light from the standard height Optup halogen, this Lentry Portable Generator Light is an all-around good choice. It fits on the truck, deploys in seconds, and packs a lot of backup power. It will power the light for hours at a time and then just add fuel if you need the light longer. 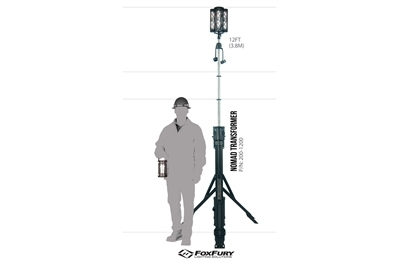 This portable light tower has two separate extremely bright Optup halogens on telescoping, extra tall (XT-height) poles. The Optup light heads are flood and spot lights in one, so with two of them, this Lentry Light Tower is a great choice if you need the bright light of LED's but not the expense. This Lentry Portable Light is 2000W max, but provides 1600W of computer-safe power continuously. Even with the super bright V-Spec LED on, over 1200W remains for other tools. 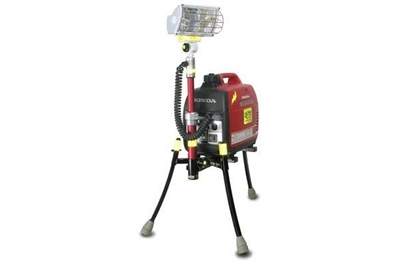 This standard height model is compact and convenient, but still offers the height versatility needed for most applications. The pole and legs lift and protect the generator and raise the light over common obstacles and debris. Finally, this LED is bright - 28,000 lumens. Refined and more powerful the 9460 Remote Area Lighting System (RALS) provides convenient and ecologically responsible alternatives to wasteful generator powered lights. Engineered with the Intelligent Control System which calculates and displays current battery life, allows the user to regulate the intensity of the light and choose the desired run time. 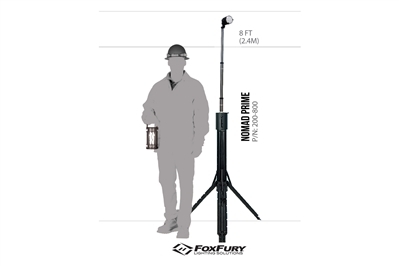 Built with versatility in mind, the 9460 RALS features two swiveling telescope masts (each extends to nearly 6 feet) and two 360 degree articulated light arrays. The system's next-generation LED's combine to radiate up to 6,000 lumens (3,000 per light head). Powered by a rechargeable battery, the system offers up to 7 hours of peak brightness with a variety of extended run times. Built self-contained in a tough-as-nails Pelican case, the 9460 is compact and provides easy ground transport with a pull handle and stainless steel ball-bearing, polyurethane wheels.